Good Monday morning, all. I hope you had a fabulous weekend. I had a blast at Stamp Fest in Lakeland, Florida, as many of you probably saw from my Instagram, Twitter and Facebook posts. Today, as promised, I'm sharing my project for the Spellbinders Partner Blog Hop representing Graphic 45. I created a fun mini album and gift box to hold it. 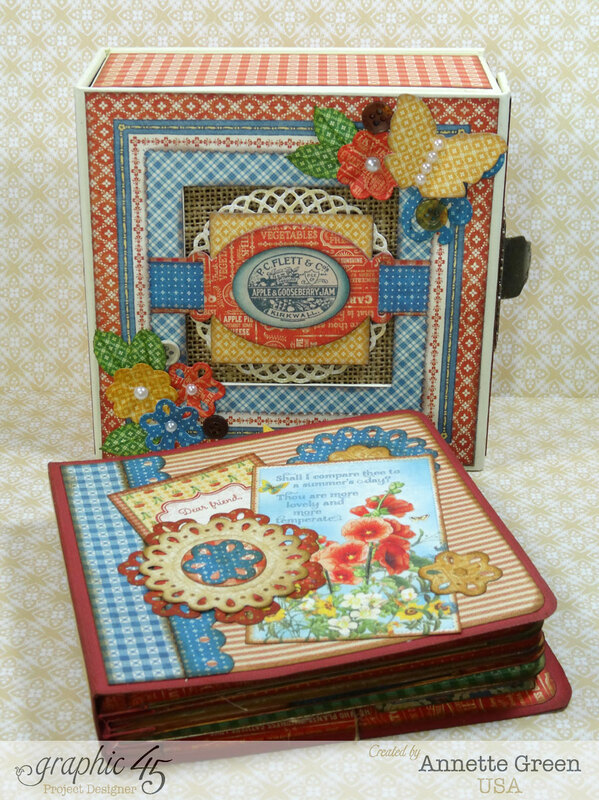 I used the Home Sweet Home collection and some fun Spellbinders dies. Here's a quick look, but make sure you go to the Graphic 45 blog and see LOTS more photos and my YouTube video tutorial. Also, fellow Special Projects Designer Gloria Stengel has a wonderful paper bag mini album using Raining Cats & Dogs. You won't want to miss these projects! For this hop, there will be three daily winners and one Grand Prize winner. Daily winners will receive featured products from each of the partnering companies on that day. Here's the line-up once again, below. You can get access to the links to each of these companies by visiting the Spellbinders blog today, Tuesday and Wednesday. Good luck and happy crafting!